Our dark berries usually start producing mid July. A hybrid cane berry produced by a breeding program between OSU and USDA ARS. 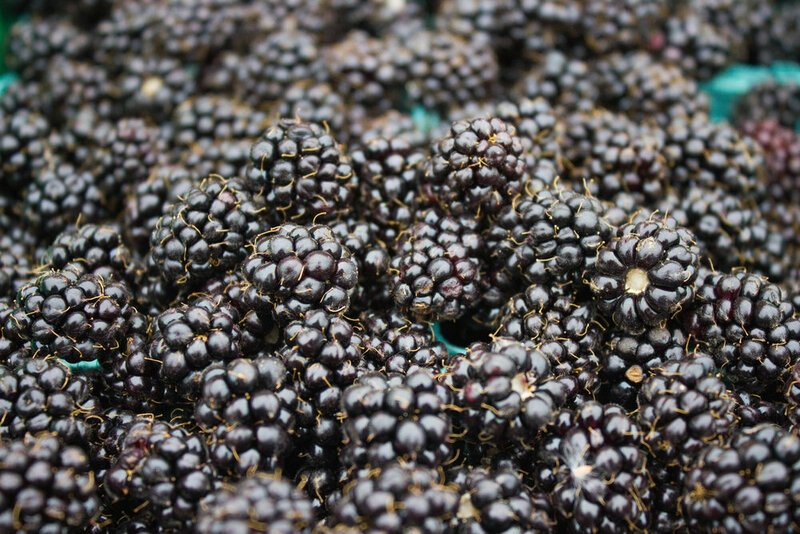 Marionberries are a type of blackberry that account for over half of all blackberries produced in Oregon. These are large semi-sweet berries (larger than marionberries) that are a combination of blackberries, loganberries, and raspberries. Boysenberries are known for their large seeds and deep maroon color.